How’s this for a trip down memory lane? The tagline that ended that much-talked about spot? 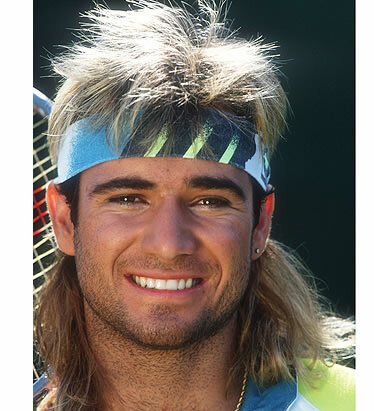 The ad ruffled some feathers and generated a fair share of “controversy” for the feather-mulleted Agassi, whose flashy appearance and rock-star lifestyle often overshadowed his inventive and exciting tennis game. 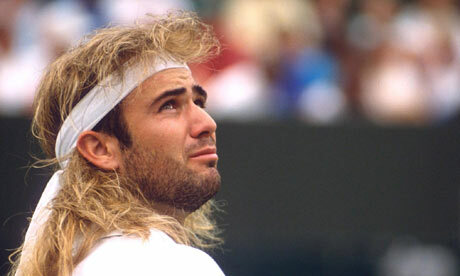 But according to fascinating new research from MIT, both Agassi and Canon were right on the money. And it all happens at a speed even faster than an Agassi serve. That study – funded by the National Institutes of Health, conducted by MIT neuroscientists and researchers and published in the journal Attention, Perception and Psychophysics – demonstrated that when a visual is used in a sales or marketing presentation, it takes just 13 milliseconds for your customer’s brain to identify and find meaning in the image. Yes, you read that right. A team of neuroscientists from MIT has proven that the human brain can process entire images that the eye has seen for as little as 13 milliseconds. Not only is that really fast, but it’s a good bit faster than the timeframe those researchers had initially predicted – 100 milliseconds, or 1/10th of a second. And for comparison’s sake, the 13-millisecond time is 10 times faster than it takes light to travel around the Earth’s equator. Those multiple “eye fixations” are part of the feedback process to the brain, as it decides where to focus the eyes. Deciding where to move the eyes can take 100 to 140 milliseconds, say the researchers. The report also concluded that these findings were highly consistent with recent research demonstrating that decisions – especially ones about survival and risk avoidance – are made in the oldest part of the human brain, while analysis and justification of decisions occurs in the late-evolving cerebral cortex, the “newer” part of the brain. What does this all mean for marketers? Simple. If you want to get your message across to customers, consumers and clients, start your selling and storytelling with strong and effective visuals. Knowing that your potential consumer has such an incredibly powerful and nearly instantaneous ability to process, understand and make decisions about images and visual messages, isn’t it a smarter decision on your part to open dialogue with them through imagery? When it comes to something like a PowerPoint slide deck, doesn’t it make more sense to utilize imagery rather than wordy copy points? Or at least to ensure a strong balance of the two? Remember, just because it’s called a “bullet point”…doesn’t mean those words move faster than an image. Perhaps this study also helps explain why social media titan Facebook shelled out a cool $1 billion for photo-sharing platform Instagram not long ago. 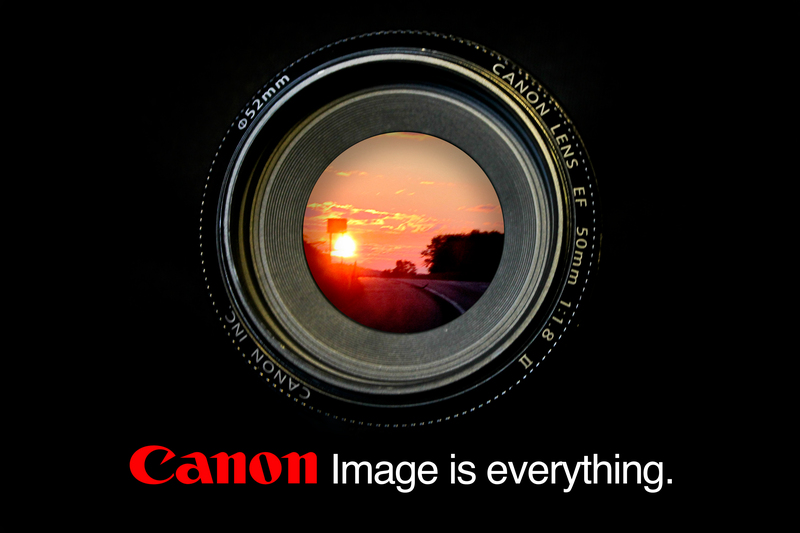 All those pretty pictures…sure do capture the fancy of the mind’s eye. Or is that the mind and eye? What are you doing as a business or brand to effective engage your customers with imagery? Or if you’re a marketing or advertising agency professional, how are you helping ensure your clients target consumers with powerful visuals? And what about moving pictures – otherwise known in 2014 as video? Do you “see” better results when you open and lead with visual and image-driven messaging? Let us know in the comments section below. We’d love to hear your input and thoughts on this matter. Feel free to share an image or two if you’d like. Just, you know, keep it clean.